Community is at the heart of what we do. So, as well as our regular weekly services, we serve our parish and our local community with a large number of baptisms, weddings, and funerals. We seek to deepen our friendships and build relationships with new people by sharing tea and coffee at the back of Church after the 10am service on Sundays. Volunteers help to keep our Church open during weekdays and also on Sunday afternoons, as well as staffing our gift shop. They help to welcome and inform visitors to our Church and make many of our events and services possible. The Mustard Seed, a weekly meal for homeless people in our Church Hall. Olive Branch, an ecumenical charity also working with homeless local people. North-west Air Ambulance, St John’s Hospice, Christian Aid, and other organisations. There is a monthly stall on Sunday’s before and after the 10 am service where a wide range of Fairtrade goods are available. Orders can also be placed through the registered Traidcraft Rep.
Children’s Society we raise money for them through our Christingle collection. Our Social Committee is a vibrant and energetic group who organise get-togethers, such as the annual parish barbecue, events, and day-trips. The Mothers’ Union is an active group and they help with baptisms and pastoral visiting. The Tuesday Group meets on the first Tuesday of each month and is an active and enjoyable group for women of all ages. There is a very varied programme of speakers and events. The group is always generous in its charitable giving. PAAWS (Priory All Ages Walkers) is, as its name suggests, a group which – usually on a monthly basis – organises walks suitable for all ages and abilities. New walkers are always welcome.. The Sanctuary Guild is active and creative group who work on practical projects, such as, the making of our splendid Stations of the Cross. The Film Group watch films together and then meet a few days later to discuss it from a theological point of view. There are informal social occasions throughout the year, such as drinks after services or choral events, and for choir parents or adult members of the choir at the pub after practices or Evensong. Some people also go for lunch together after the 10am Priory Eucharist on a Sunday. Junior Church meets on a Sunday morning and ‘messy Church’ events to tie in with the major festivals in the Christian year. Priory Youth Group (PYG) meets throughout the school year and also organises social events and weekends away. These young people take part in fund-raising events such as ‘sleep-overs’ in Church to raise money for Shelter, the homeless charity; and have also raised money through a sponsored swim. The younger group meets more frequently for social and sporting activities, as well as study and discussion. The older group (16+) meets once a month to explore a topic relating to faith, life, or ethics. 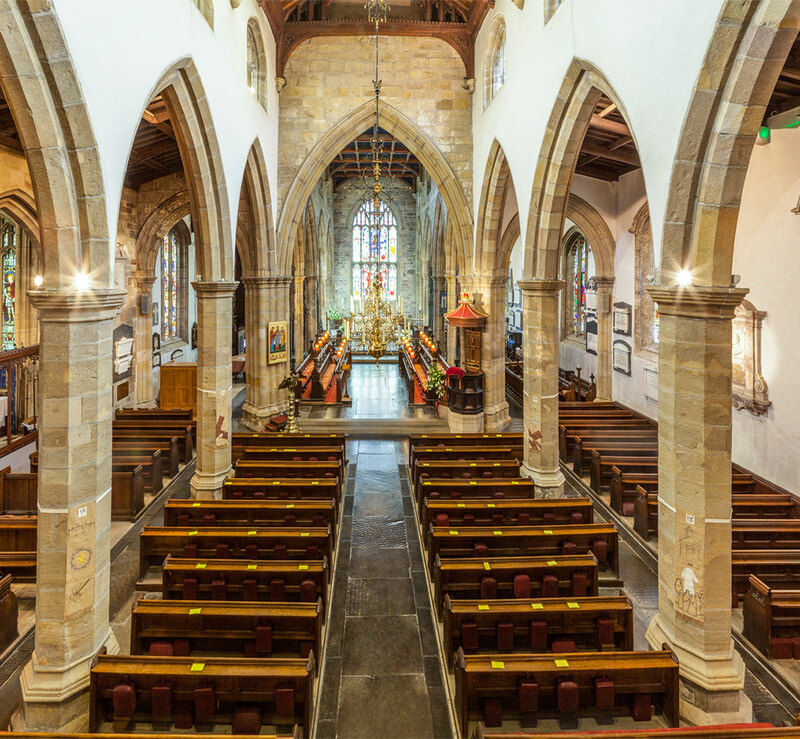 As the County Church we are the focus for various annual civic and county services such as Mayor’s Sunday and the Shield-Hanging Ceremony for the High Sheriff of Lancashire. Within the Priory Church is the regimental chapel for the King’s Own Royal Regiment, now incorporated into the Duke of Lancaster’s Regiment. We remember the fallen at Mattins, monthly (on the first Sunday of the month) as well as at special commemorative services and on Remembrance Day. We have also hosted St George’s Day celebrations for the Lunesdale Scouts. Schools also come into Church for guided visits, activities as part of our Education programme, and end-of-term services – see our school visits page for more information. In recent years we have also welcomed children from Belorussia through the charity ‘Friends of Chernobyl’s Children’. Every year we host lectures from prominent public personalities, theatrical events, and exhibitions – see what we’ve got coming up here.